approval letter is a serious buyer. When you have an approval letter from The Koehler Group at Alerus Mortgage in your hands, it really means something. Realtors know that an offer made by someone with our approval letter is serious. Why? Because our approval letter is a commitment. It says that if we do not close according to the terms of the letter, we will pay $10,000 to the seller. It’s that simple. $10,000 guarantee is paid to the seller if the loan does not close based on the terms of our approval letter. The approval letter lists the conditions that must be met for the guarantee to be valid. This guarantee is not valid if the property is deemed by Alerus Mortgage to be in a declining market or if the investor guidelines change prior to closing. The approval letter has an expiration date. The loan must close by the expiration date or the borrower must qualify for an extension. This guarantee is not valid if borrower or sellers choose not to close for reasons beyond our control. We provide education and guidance so our clients make confident, fiscally responsible decisions throughout the home buying or refinancing process. Our proactive and open approach means we are with you every step of the way, lighting a pathway to your new home. 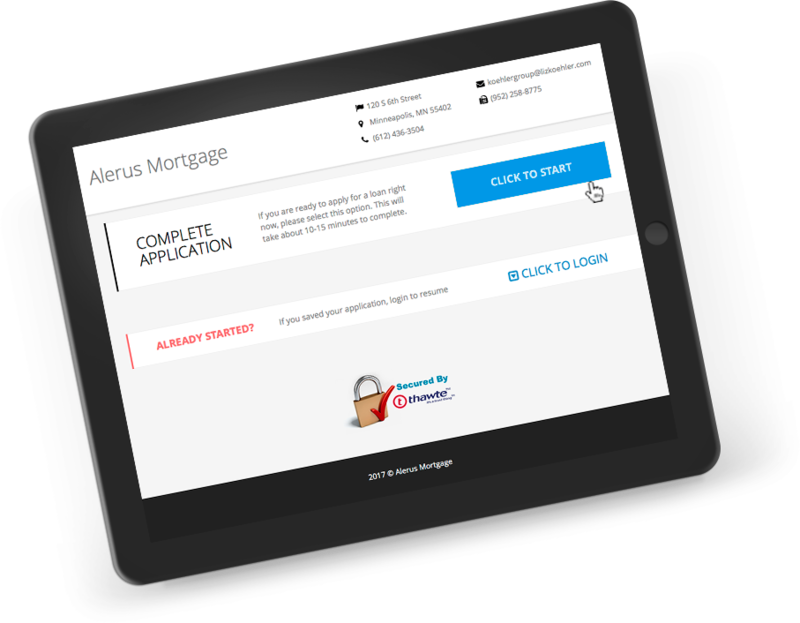 The Koehler Group mobile app helps you stay on top of the mortgage process no matter where you are.